I am not going to teach you how to form the comparative or superlative of an adjective, there are lots of grammar books available that you can consult if you want to acquire this skill. Nor am I going to dwell on the importance of Howard Jones as a singer/songwriter, the internet is full of expert information where you can learn everything you want to know about this artist's life and work. 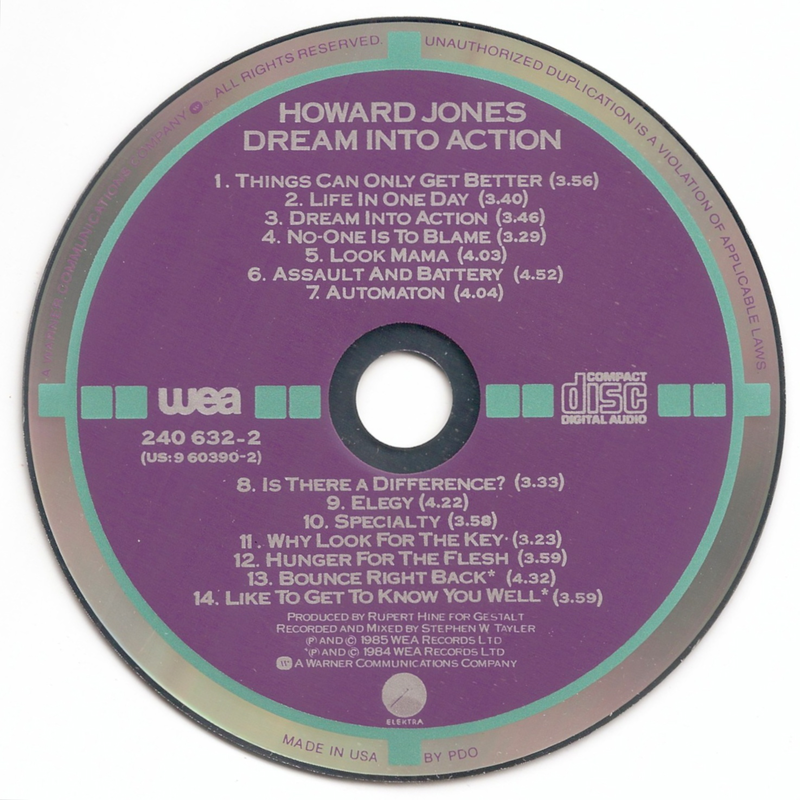 No, I am going to stick to matters at hand and focus on the different US Target pressings of Howard Jones' second studio album Dream into Action. US Target pressings were issued during a very short period and in almost all cases each album is only available with one color scheme. Dream into Action is the exception to this rule, because there are no less than three different color combinations used for this album. First there is the variation with teal coating, purple targets and black lettering. As is the case with all US Target pressings, a US Target pressing of this album is quite rare, but chances are that if you find a copy, it will have the color scheme like the one that is pictured here. Much rarer is the second variation with purple coating, teal targets and silver paint lettering. It is unclear whether this is a manufacturing error or the result of a test pressing, but given the many color variations that also exist on West German target pressings, one can assume that during the printing process the wrong ink was accidentally put in the wrong pot and that QC didn't pay too much attention to this type of small deviations. At first glance it may seem that the color combination used on this variation is the same as the one that is used on U2 War which is the only Target that was released on the Island label, but when comparing both schemes it isn't difficult to see that the color of the targets on both albums are quite different. The third variation is the 'Reverse' pressing of the second variation that is shown above. Instead of a purple coating with teal targets, the coating is now teal and the targets purple, while the lettering is the same on both variations. Although the color scheme on this variation is the standard color scheme that is used on all West German Target pressings of albums that were released under the WEA label, I think this variation is the rarest of all three. 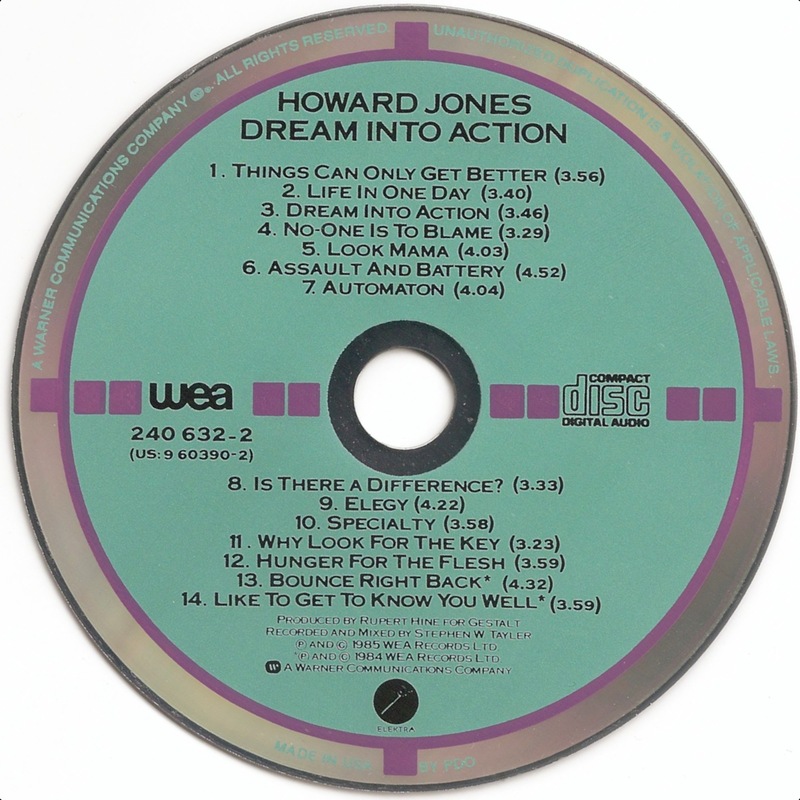 Though it may seem that the teal coating on the first variation with the black lettering looks slightly different than the one that is used on the last variation, a thorough comparison reveals that the coating color used on all West German pressings, US Pressing 1 and US Pressing 3 of this album is exactly the same. The matrix number for all three variations is "7559 240632-2 2895 468 03 *" while none of them has an additional hub inscription. However, since many US Target pressings not only have the text 'MADE IN USA BY PDO' printed along the perimeter but also have this text etched around the center hole on this playside of the disc, it is likely that the targets featured in this article can also be found with this inscription.